We love horses and our team of doctors take great pride in treating them with the utmost care, diligence and professionalism. We are available for regular checkups as well as emergency care. We are a Gilbert, Arizona based veterinary medicine provider serving the entire South East Valley (Chandler, Mesa, Queen Creek). We have been providing the highest quality veterinary medicine along with excellent client service to horse owners since 1984. Give us a call to learn more or simply setup an appointment. We also offer tours of our facility if you would like to take a look at our world class equine diagnostic facilities. Read what our past clients have to say by visiting our testimonial page. Arizona Equine Medical & Surgical Centre is located in the southeast Phoenix metropolitan area and is the largest center of its kind in the desert southwest. 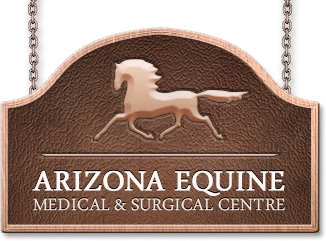 Arizona Equine, home to your local horse vets in Gilbert, was established in 1984 and has become one of the most sophisticated equine diagnostic facilities. The diagnostic facility includes ultrasonography, nuclear scintigraphy, MRI, endoscopy and computed and digital radiology. The surgical facilities are equally extensive and include arthroscopy, colic surgery, laser surgery, laparoscopy and many types of soft tissue surgery.